Lutheran Church of the Redeemer Columbus, GA is a member church of The Lutheran Church-Missouri Synod. 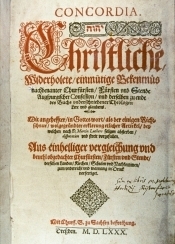 “With the universal Christian Church, The Lutheran Church—Missouri Synod teaches and responds to the love of the Triune God: the Father, creator of all that exists; Jesus Christ, the Son, who became human to suffer and die for the sins of all human beings and to rise to life again in the ultimate victory over death and Satan; and the Holy Spirit, who creates faith through God’s Word and Sacraments. The three persons of the Trinity are coequal and coeternal, one God. Being Lutheran, our congregations accept and teach Bible-based teachings of Martin Luther that inspired the reformation of the Christian Church in the 16th century. The teaching of Luther and the reformers can be summarized in three short phrases: Grace alone, Faith alone, Scripture alone. Lutherans believe, teach and confess their faith according to the Holy Bible and The Book of Concord which is a true and proper interpretation of the Holy Bible. To learn a little more about the Book of Concord please visit, bookofconcord.org, Just A Note, and CPH.org. The excerpt is from the Lutheran Church Missouri Synod website. 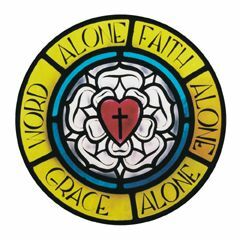 Please visit the LCMS website for more about Lutheranism. To learn even more please talk to Pastor Estes about attending his Pastor’s Class for a Bible study on Lutheran teachings.